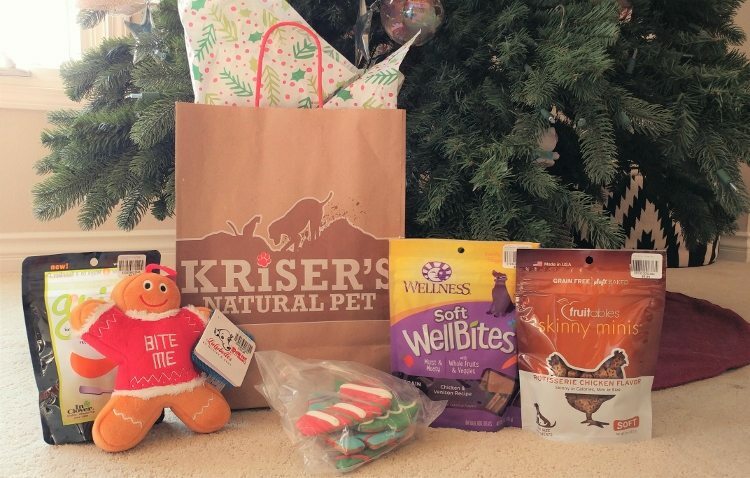 This article, Holiday Shopping at Kriser’s with Your Pet, is sponsored by Kriser’s. All opinions are 100% my own. As you can see, Harley had a blast on our shopping trip to Kriser’s. 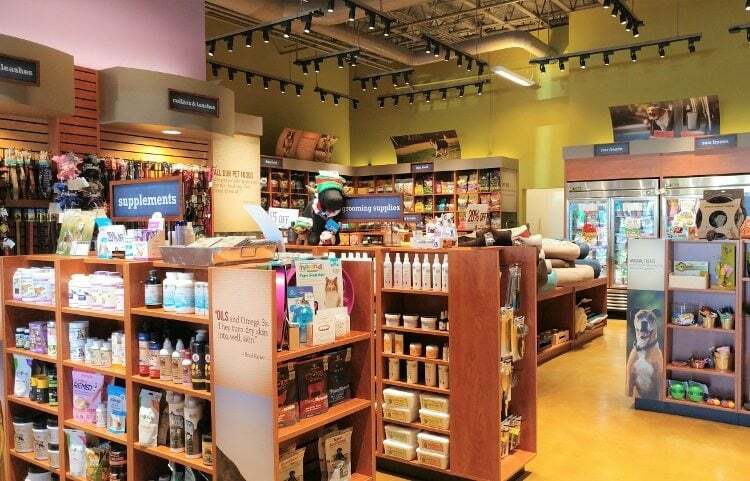 The store was clean and beautiful and we were immediately greeted with smiling faces the minute we walked into the store. Harley made himself comfortable right away at the front of the store. 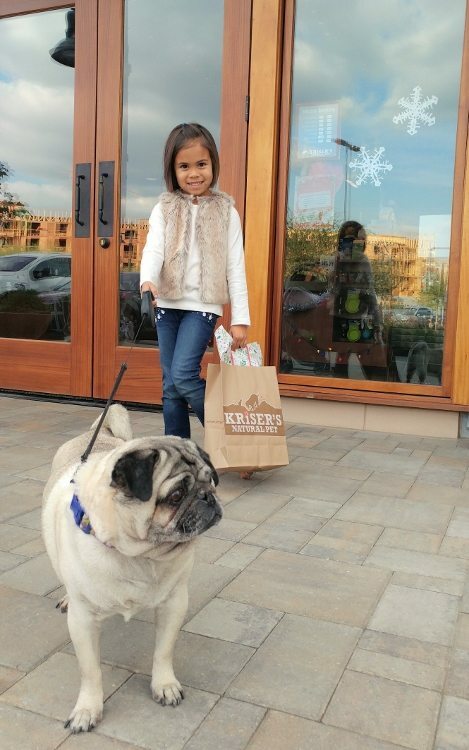 They had several holiday toys, clothes, and my favorite grain-free all natural dog cookies. 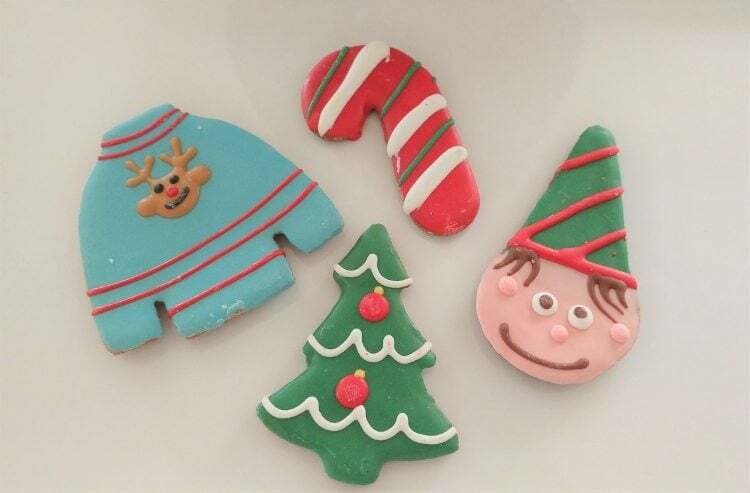 There were even ones shaped like ugly sweaters and adorable elves. 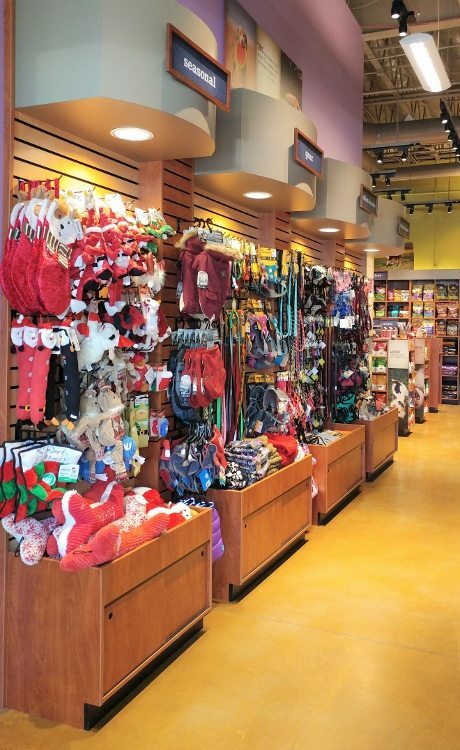 The holiday selection had gifts and stocking stuffers for pets of all sizes. We picked a little Gingerbread Man toy that was wearing a “bite me” sweater. The selection at the store was quite impressive. From food free of corn, wheat, soy or by-products to natural beauty items and grooming products, we took our time picking out Harley’s holiday gifts. 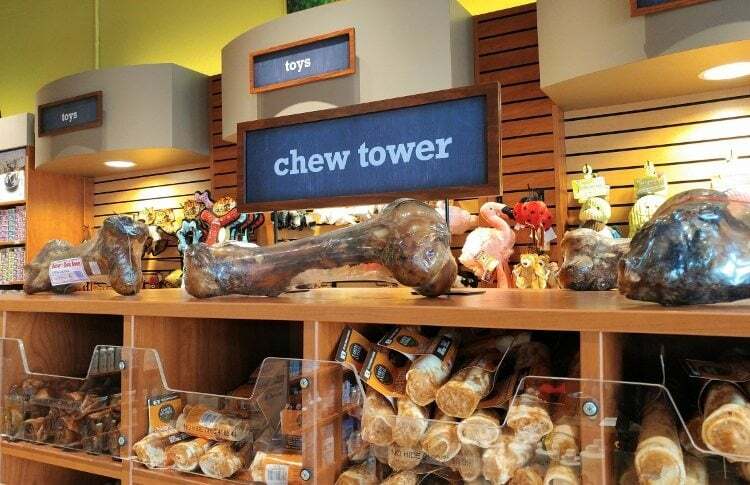 Although the chew tower was tempting, we chose some soft treats for his old teeth. We bought soft grain free WellBites with whole fruits and veggies and Mia picked some grain free skinny minis in Rotisserie Chicken flavor. We also bought him some Grin soft chews for his teeth. 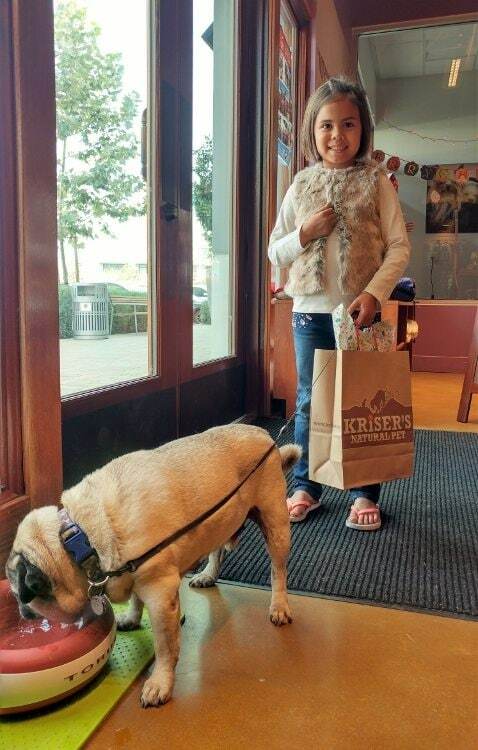 After our Kriser’s experience, we will definitely be back soon! Harley was so welcomed and comfortable there. He even grabbed himself some water before we left! 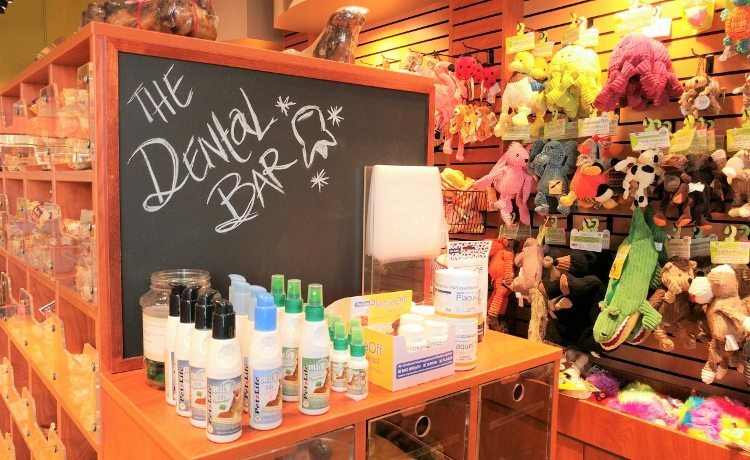 For more information and to find a location near you, visit Krisers.com! Be sure to check out these other great experiences at Kriser’s! Your video is amazing! Cute daughter and dog as well. I love your post. 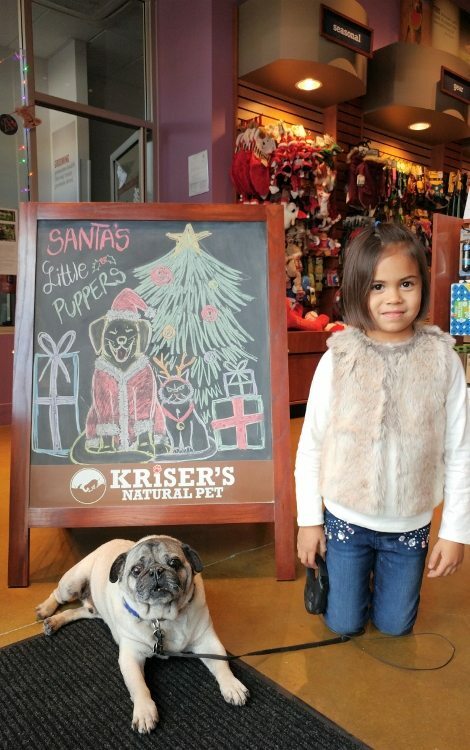 We shop at Krsier’s too! Happy Holidays. Thank you SO much, Jen!! We had a blast doing it. Happy Holidays to you too!! We went to Kriser’s yesterday and I loved the store. 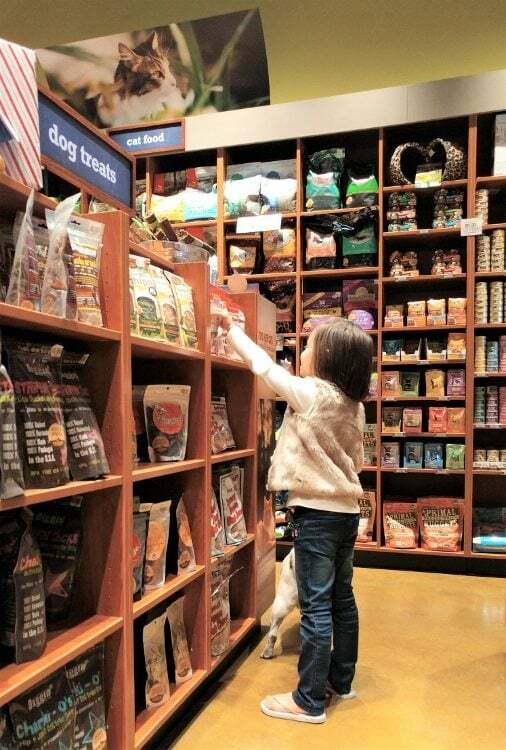 So nice to find natural products for pets!